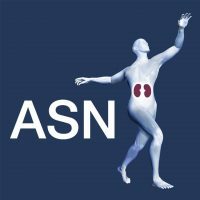 March is National Kidney Month and to celebrate, Kidney News Online and In The Loop are highlighting the top 20 ways the American Society of Nephrology (ASN) and the ASN Foundation for Kidney Research are increasing interest in nephrology careers. Provide free ASN membership to trainees, including high school students, undergraduates, medical students, medical residents, PhD candidates, and nephrology fellows. In 2018, ASN provided more than 6,000 trainees with complimentary membership. Offer free registration to the ASN Annual Meeting at Kidney Week to high school students, undergraduates, medical students, medical residents, and PhD candidates. In 2018, more than 1,600 of these trainees attended Kidney Week. Oversee ASN Kidney STARS to ensure selected medical students, residents, and graduate students have a “tailored” experience at ASN Kidney Week that includes plenty of networking experiences with leaders in the kidney community. ASN Kidney Week 2018 included more than 290 Kidney STARS. Provide ASN Kidney TREKS (Tutored Research and Education for Kidney Scholars) to medical and PhD students. Since 2013, more than 200 trainees have participated in Kidney TREKS at Mount Desert Island Biological Laboratory and the University of Chicago. Fund 10 new and 10 continuing nephrology fellows (including PhDs) annually via the Ben J. Lipps Research Fellowship Program. Since 2012, the ASN Foundation for Kidney Research has funded 70 fellows through the Lipps Research Fellowship Program. Use the ASN Pre-Doctoral Fellowship Award Program to fund PhD students to conduct original, meritorious research projects. In the Pre-Doctoral Fellowship Award Program’s first year (2018), the ASN Foundation for Kidney Research funded five fellows. Conduct workforce research to support each generation of kidney health professionals. The ASN Data Analytics Program oversees initiatives monitoring nephrology trends across the career spectrum. Insights are communicated to the kidney community through peer-reviewed publications and the upcoming ASN Data Resource Center, a central repository for ASN’s workforce research. Partner with medical student organizations to increase the profile of nephrology. For example, ASN has partnered with the American Physician Scientists Association (APSA) to encourage applications to ASN Kidney STARS and TREKS, recommend ASN members as speakers at APSA educational events, and provide travel support for trainees to participate in APSA activities. Exhibit at national medical student meetings, such as the American Medical Student Association, Student National Medical Association, Latino Medical Student Association, and APSA. Use the Karen L. Campbell, PhD, Travel Support Program for Fellows to support nephrology fellows (and PhDs) to attend the ASN Annual Meeting at Kidney Week. Since 2009, ASN has funded 395 Campbell Fellows to attend Kidney Week and help mentor ASN Kidney STARS. Support the William E. Mitch, III, MD, FASN, International Scholars Travel Support, which provides complimentary ASN membership to nephrology fellows in Latin America as well as travel support to nephrology fellows who are underrepresented minorities. Since 2012, ASN has funded 55 Mitch Scholars. Provide travel support to 25 trainees to attend the annual Advances in Research Conference (ARC) Early Programbefore ASN Kidney Week. Since 2009, ASN has funded 244 trainees to attend the ARC Early Program. Offer travel support to the Network of Minority Health Research Investigators (NMRI) Annual Workshop. Since 2015, ASN has funded 72 investigators to attend NMRI. Promote diversity and inclusion in nephrology, which includes inviting trainees to attend the LGBTQ and Ally Reception at ASN Kidney Week. To learn more about ASN’s commitment to diversity and inclusion, please see this video. Provide trainees with complimentary access to JASN and CJASN. Additionally, JASN supports an editorial fellowship program, and CJASN offers both a Trainee of the Year prize for the best article submitted to the journal by a trainee as first author and is launching a trainee peer-review program later this year. Encourage nephrology fellows to serve on ASN’s committees. Some committees—such as the ASN Policy and Advocacy Committee, the ASN Workforce and Training Committee, and the ASN Media and Communications Committee—have structured internships to help ensure that fellows benefit from the experience. Offer the Mentor-Mentee Curriculum and the Women in Nephrology-ASN Career Advancement Series. Dedicate an ASN Community, “Fellows Connect,” to provide a private, communal, and collaborative space for nephrology fellows and other trainees to voice questions, comments, or concerns with the objective of boosting the clinical knowledge of fellows and increasing enthusiasm about the specialty. Currently, more than 2,700 trainees participate in Fellows Connect. Use every channel available on social media—particularly Facebook, Instagram, Twitter, YouTube, and podcasts—to raise awareness about kidney diseases, increase interest in nephrology careers, and promote the ASN enterprise. ASN TV launched at ASN Kidney Week 2018 and makes an ideal source of content for sharing. The videos aim to broaden diversity within the nephrology community and communicate the benefits of society membership. Partner with the Renal Fellow Network, which was established in 2008 by the late Nathan Hellman, MD, PhD: https://www.renalfellow.org/. Each month, more than 500 visitors (on average) access the network. To suggest other ways ASN and the ASN Foundation for Kidney Research can increase interest in nephrology careers, please email your ideas to email@nullasn-online.org.